At this point, your wine has been perking away for ten days. The number of bubbles you see is decreasing quite a bit. If you’re still seeing one bubble come from the air lock every ten to fifteen seconds, the wine is doing great. However, if the wine stopped bubbling before you reach this point, the batch is stuck and you need to follow the procedure in my Wine Making – Unsticking a Batch to fix it. Allow some extra time for the wine to ferment properly. Normally, this is the time when you start your secondary fermentation. In order to do that, you rack the wine, which means using some type of tubing to siphon the wine out of the fermentation container into another sterilized container. Sterilize this second container completely using a one-step sterilizer designed for wine making. Never use a container that isn’t absolutely clean to store your wine. You can use a second fermentation container, or do what I do—empty the contents into a sterilized pan, sterilize the original container, and then use a funnel to pour the wine back into the container. The purpose of this activity is to get rid of the sediment that has accumulated at the bottom of the fermentation container and to stir the wine up so that the yeast can get to the remaining sugar. You have several options when it comes to siphons. Some people use a racking cane (tube) to perform the task—others use a siphon kit. 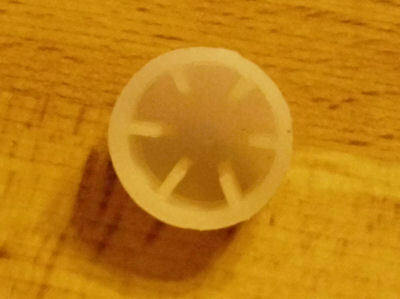 I have a semi-rigid piece of tubing that came with my kit and it looks like this. Notice the tip on the right side. This is a racking tip and it keeps the end of the cane out of the sediment. The flow is redirected upward so that you get as little as the sediment as possible from the fermentation container, yet maximize the amount of clear wine you get. Here is how the tip looks close up. 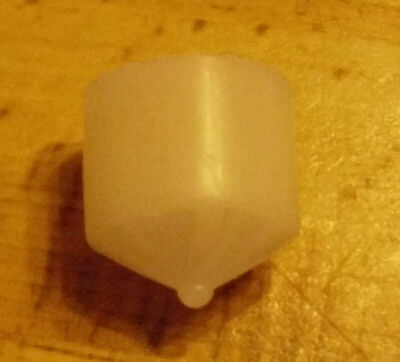 The end of the tip is angled so that you can move it right into the bottom of the container. Notice how the end of the tip grabs the tube, yet leaves space for the wine to flow through. Never taste the wine at this point. It contains live yeast and you’ll get a bellyache for your efforts! In short, Day 10 is basically a time to start clearing the wine and ensure you get the maximum value for your efforts. It may seem like a simple step, but it’s critical to the success of the wine. So, are there any questions about day ten? Let me know at John@JohnMuellerBooks.com.